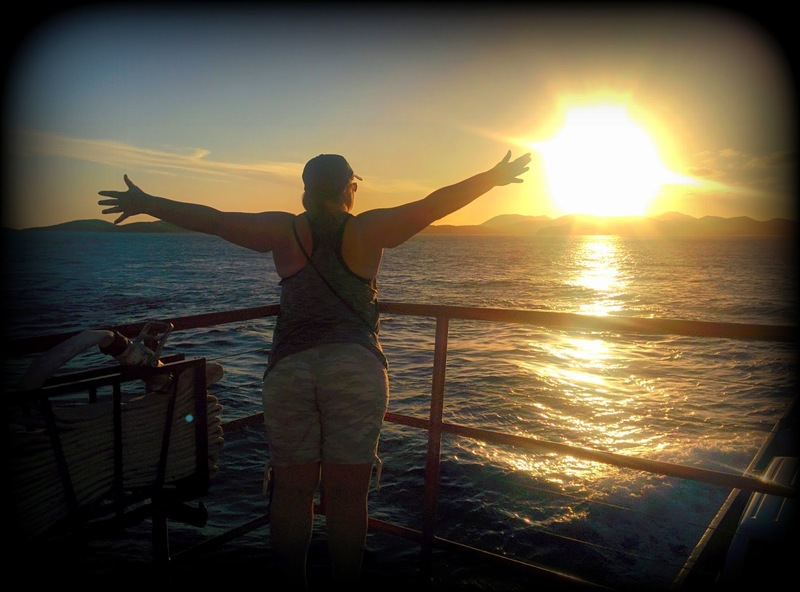 I spent a wonderful week on vacation with my family in St. Thomas. 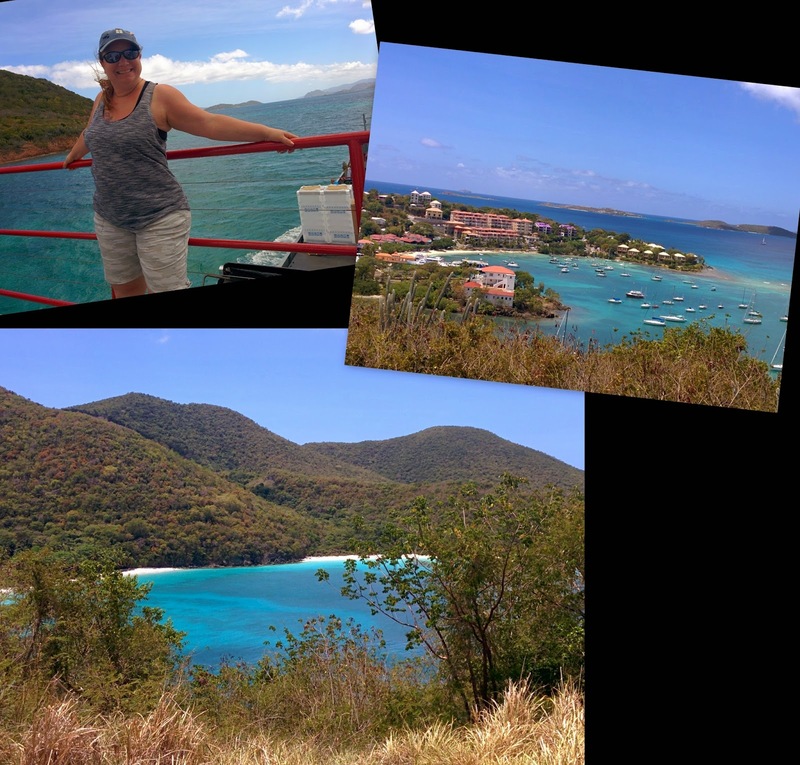 One of the best days of the vacation was the day trip to St. John. We got an early(ish) start and hopped the ferry to the island. The views on St. John are amazing, the water is incredible, and the beaches are gorgeous. It is one of the most beautiful places I have ever been to. 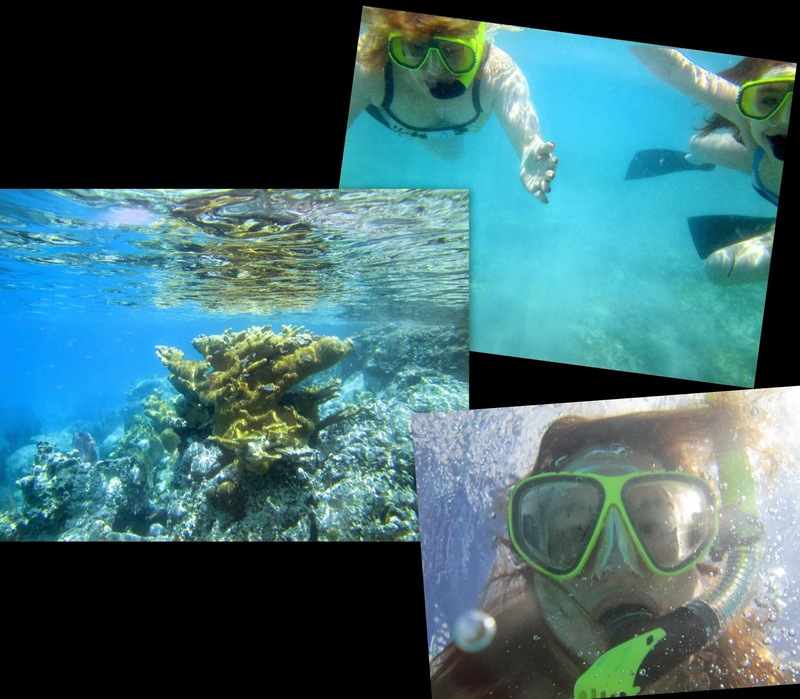 We spent the day driving around teh island site seeing, snorkeling, and relaxing on the sand. There may have been a beer (or three or . . . ) involved. 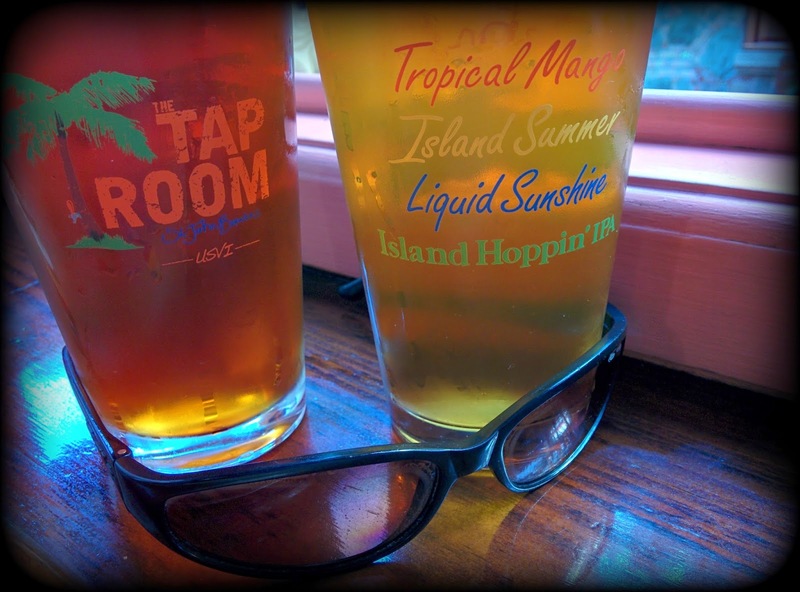 We finished up the day at the Tap Room at Cruz Bay. 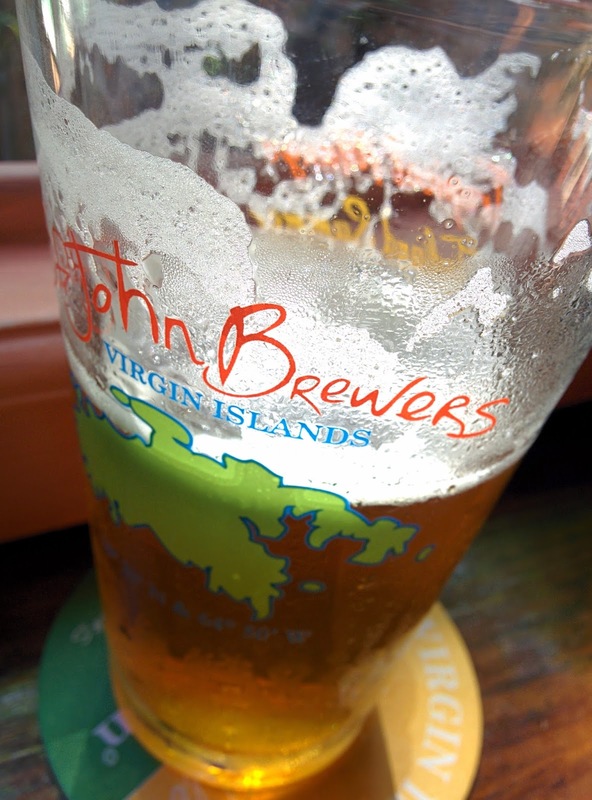 I enjoyed a number of St. John Brewers beers and a fabulous burger. I was totally dying of thirst so I quickly sucked back a Pale Tourist. Thirst quench, I looked at the menu and spied the VI Massives. Of course, I had to try them both. As fabtabulous as the Double IPA (8.8% ABV) was, the Coffee Stout (8.9% ABV) was even better. 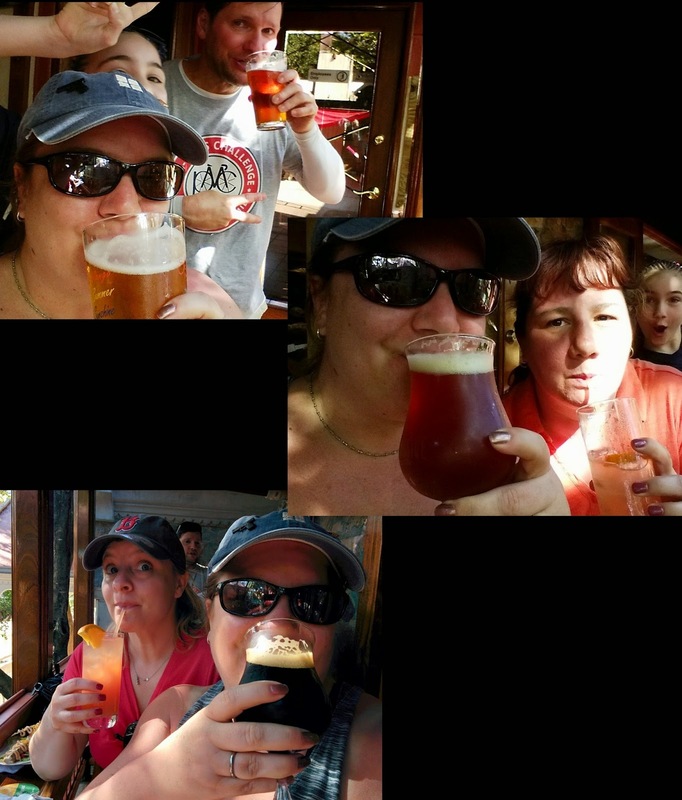 And this is from a girl who will pick an IPA over a stout any day of the week. Both beers are well crafted and delicous. And, strong. Soooo, good. There's no doubt, that the next time I visit St. John, the Tap Room is going to be a do-over destination.